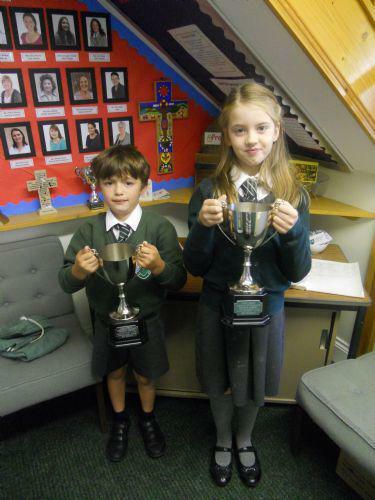 Here at Cold Aston C of E Primary we pride ourselves in providing our children with a rich, broad, exciting and stimulating curriculum with a balance of traditional and contemporary skills taught. Being a Church of England School we teach and demonstrate the values Jesus taught us and are accepting of all. 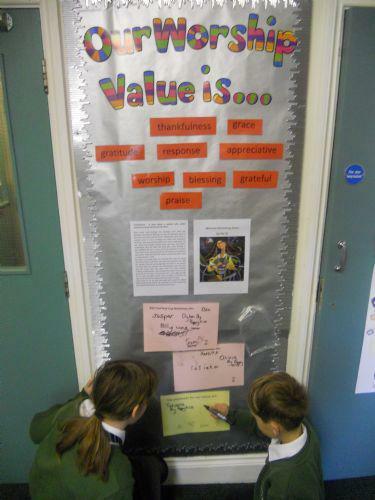 Our values are promoted throughout the whole of school life and are linked, where appropriate, to our learning. We believe in making the learning fun, accessible and enjoyable and promote high expectations and standards of behaviour and teaching and learning. We have excellent Key Stage Two SATS results, above the national average, as well as good results in the teacher assessed Key Stage One SATS. We place an importance on the key skills of reading, writing and maths yet equally provide wonderful experiences for our children. We follow the National Curriculum 2014 which can be found at this link https://www.gov.uk/government/collections/national-curriculum. English and maths are taught in timetabled lessons in the mornings. In addition to this we also have explicit daily grammar and punctuation lessons as well as maths fluency sessions placing an emphasis on these important core skills. Science and the foundation subjects are taught through exciting topics in the afternoons. We link English and maths to these topics, where appropriate, so that the children may use and apply the skills they have learned across the curriculum. As a school, we place a high importance on the value of learning to read but also reading to and with your child. Sitting down at the end of the day or before bedtime is a wonderful opportunity to spend relaxation time and enjoyment of stories together. We try very hard to listen to your child read in school on a one to one basis as frequently as possible. We also ensure that reading takes place throughout the curriculum through the whole school day. The children are encouraged to read in lesson times as whole classes, small groups, guided reading sessions or individually. We also have a well-stocked library which is visited frequently by the children through directed sessions but also for pleasure. Mrs. Julie Powell, one of our parents, is our librarian and she offers weekly sessions to the children also. As the children first start school, they are provided with picture books which we ask parents to share with the children to develop language, vocabulary, questioning and understanding of the story. 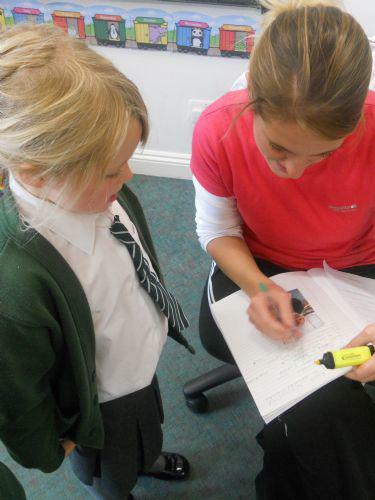 As the children progress they work through our schemes which are 'The Oxford Reading Tree' and 'Project X'. We also provide the children with other books to support them at each level if they are not ready to move up to the next stage. 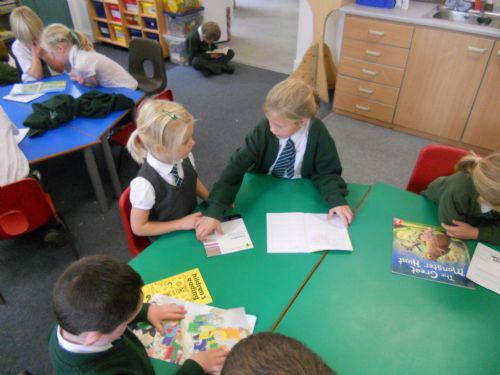 As the children become more confident independent readers, they are allowed to choose from free choice books with the direction and advice of their teacher. 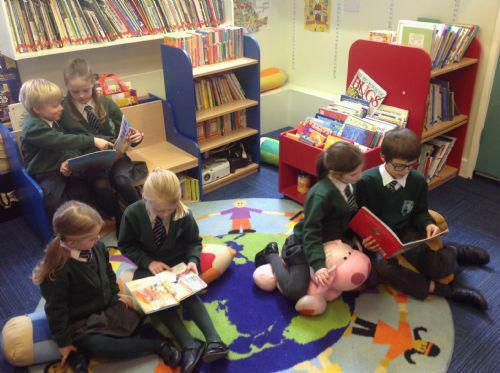 We also encourage parents, community and governors to come in and support your children with their reading but also run reading for pleasure workshops to ensure the enjoyment and love of reading is developed. If you would like to help our children learn to read, please do come in and talk to either a class teacher or Mrs. Crouch in the office. This plays a vital part in the development and progress of our children. We place a high value upon written and verbal marking and feedback. This is ongoing in the classroom and links to the children's learning ladders in their books. The learning ladders show where the children are in their learning and what they need to do next to improve. The children also have their personalised 'pencil targets' to work on their individual writing needs. Please take a look at our marking and feedback policy in the NCSF key information section for further details. On a Wednesday afternoon, we run our innovative Creative Curriculum afternoons where the children are split into small mixed-age groups and they are taught and experience an eclectic mix of skills from sewing, first aid and gardening to street dance and kin-ball! We have specialist coaches join us for sports on these afternoons, and at other times during the week and we invite parents and community to come and share their skills with the children. If you have a skill and wish to run a workshop for the children, as a one off or as a series please do get in touch! Book Review Winner - Golden Chocolate Oscars! A very serious Victorian Cold Aston School Day!